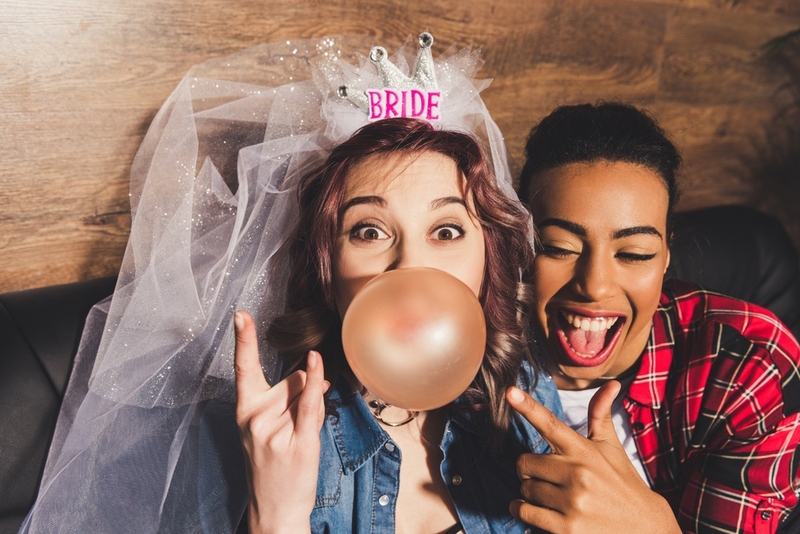 A hen party is a key part of the wedding preparations, but it doesn’t have to involve a 6-hour train ride, a weekend away or any kind of flights. In fact, it is entirely possible to have a brilliant hen party right in your own home. Here are some ideas of the kind of things you can do to have a hen party at home. For spring and summer weddings, a treasure hunt around the house and garden is ideal for a small hen party. The idea is to split everyone into teams, give them a list of items and a sack to put them in and send them off. You can even add some fun photo and video challenges in there to make it a little more exciting. Then there can be prizes for the winners plus bragging rights, of course. You don’t need to go to a fancy bar to have a cocktail party! Hire one of our buff butlers to run the evening and he can serve cocktails in his own unique style. This lets everyone enjoy themselves without the bride or chief bridesmaid having to be the one doing the work. Hen parties are about celebrating the past as well as the future and this can lead to a fun theme. Get everyone to bring some funny and favourite photos, put them all up on the wall and have everyone tell a story about what was happening. Shared memories are great for this ideatoo. You don’t need a professional dance instructor or a fancy studio to learn to dance and this makes for a hilarious hen party idea. Get a dance instruction video that will work for everyone coming, clear out one of the rooms and make it into a dance studio. Set up the TV and all run through the lessons. You may want some cocktails to celebrate afterwards – and rehydrate, of course. This is ideal for small parties and all you need is a mobile beautician who can come and spend the day with you and your friends. Then you can have a makeover, maybe your hair done or even try out some styles for the wedding day itself. If you all love a great meal, there’s no need to go to the restaurant. A personal chef is someone that comes to your home and cooks a fantastic meal in your kitchen. They will bring along the ingredients and the menu can be tailored to any allergies or eating requirements so there’sno concerns about someone not being able to enjoy the meal. Did you know you can have a wine tasting session in your home? There are companies that offer wine tasting experiences and they bring everything to you. You can sample the wines, learn about the different types and even buy a few bottles if you decide you have a new favourite.